Unlike some photographers I actually love travelling for a wedding. I'm one of those weird people that don't mind getting up early to see the sunrise in anticipation of the day ahead. But occasionally its nice to have the opportunity to photograph a wedding on my doorstop (in our village church .... a 30 second walk from my front door) and with a lovely local couple, Abi and Ben. 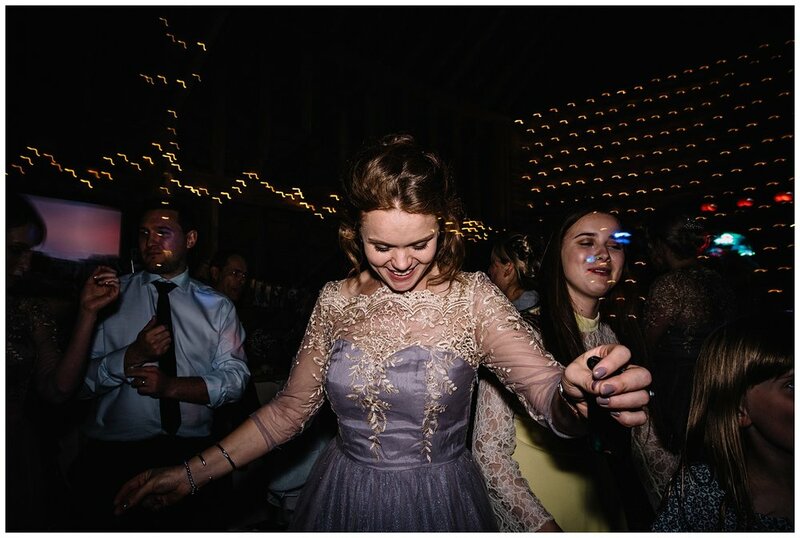 A quick drive away and the reception in Newton Park Barn was my sort of party. The wedding menu was a definite winner.... Antipasti, homemade pizza, an ice cream cart for desert and a cheese board to top it off! After the food it was off to the dancefloor and the Irish contingent didn't fail to disappoint.